There are now over 50 million smart speaker users in the U.S. A national survey of 1,203 U.S. adults in May 2018 by Voicebot and Voysis found that 54.4 million people now use smart speakers like Amazon Echo and Google Home. This reflects a market adoption rate of 21.6% of the U.S. adult population and a 15% rise just since January 2018. The data was collected as part of a comprehensive analysis included in a new report on voice shopping. Smart speaker owners skew toward higher income households. U.S. Census data from 2016 reports that about 26% of households had annual income over $100,000. Survey data show that 39% of smart speaker owners fall into that category. Apple HomePod skews even more toward wealthy households with 54% in the $100,000+ category. This is not surprising given HomePod’s $349 price tag, but reinforces the fact that Apple continues to focus on selling luxury items primarily to high income consumers. Smart speaker owners also skew younger than the general population. U.S. Census estimates from 2017 show that 46% of the total adult population is under 45 years old. However, the under 45 age group accounts for 55% of smart speaker ownership. Voicebot reported in early June that Amazon maintains a strong smart speaker market share lead at 62%. However, that is down 10 points from January 2018. 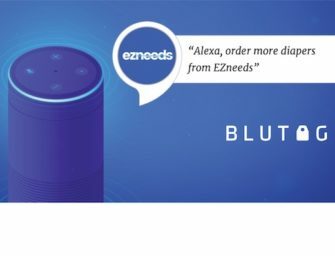 Consumers may still be buying Amazon Echo devices, but they are more likely to be existing device owners than new consumers being introduced to Alexa. During the same period the Google Home product line dramatically increased its consumer reach suggesting that most of its smart speaker sales were to first-time buyers of Google Assistant-enabled products. Apple HomePod was also instrumental in pushing total consumer reach of smart speakers over the 50 million mark after its launch in early February 2018. Nearly 77% of HomePod buyers were net new smart speaker owners. That means the had not previously owned a smart speaker until Apple enticed them into the segment. Apple HomePod may only have 4.1% market share today, but it drove 31% of the smart speaker consumer growth between January and May 2018.